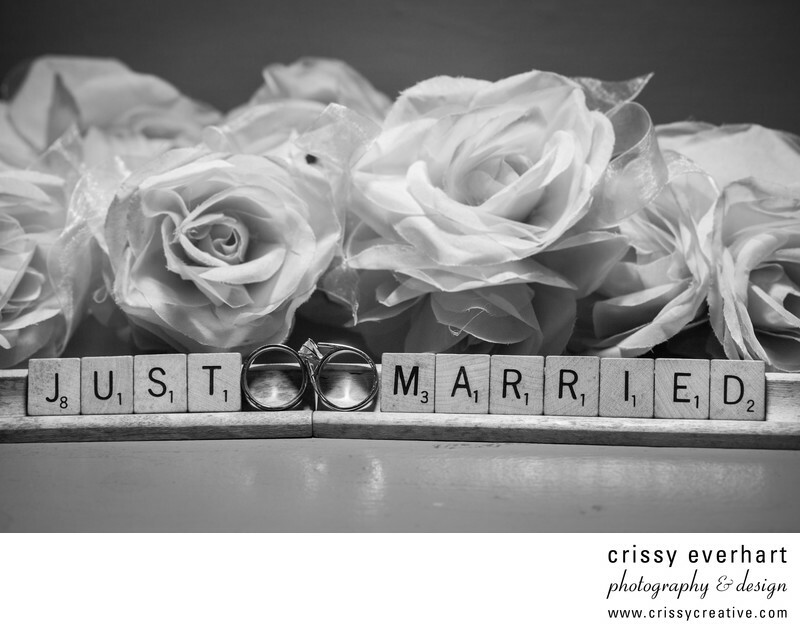 "Just Married" spelled out in Scrabble letters with the wedding bands in between the words. Cloth flowers used for table decor are behind the letters for some texture. Image is processed in black and white.